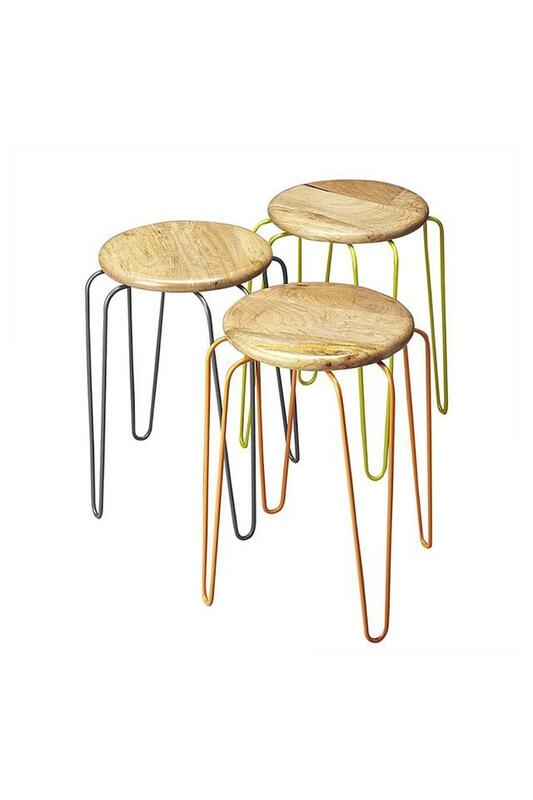 Multi-coloured pieces add a touch of industrial chic to your decor. 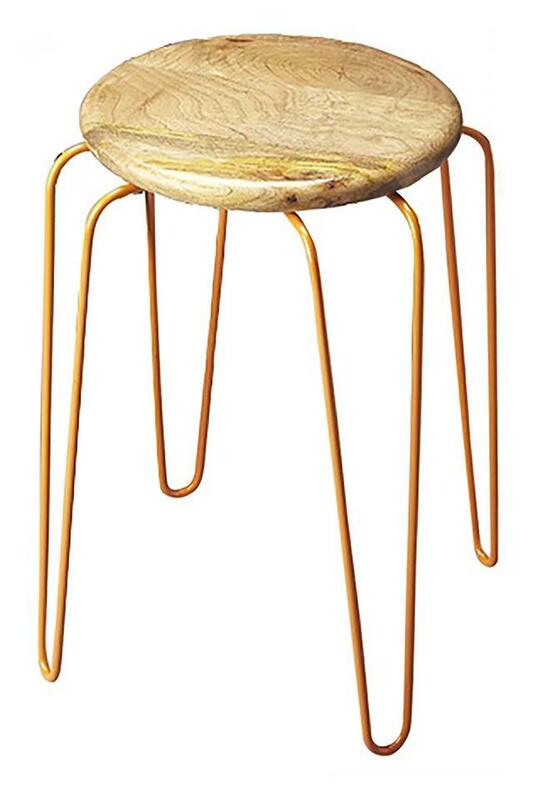 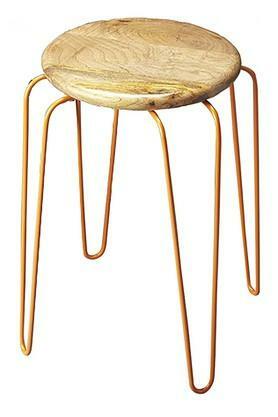 Constructed of forged iron and fitted with a mango-wood seat. 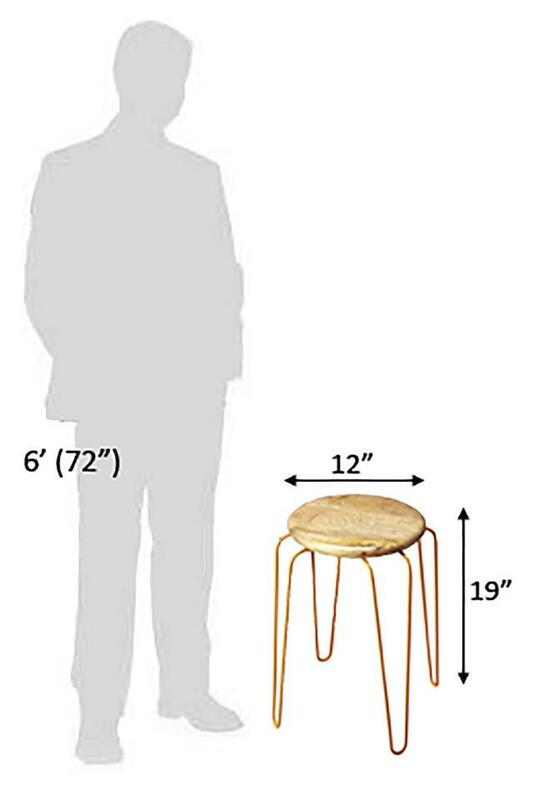 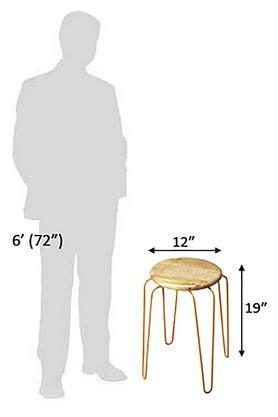 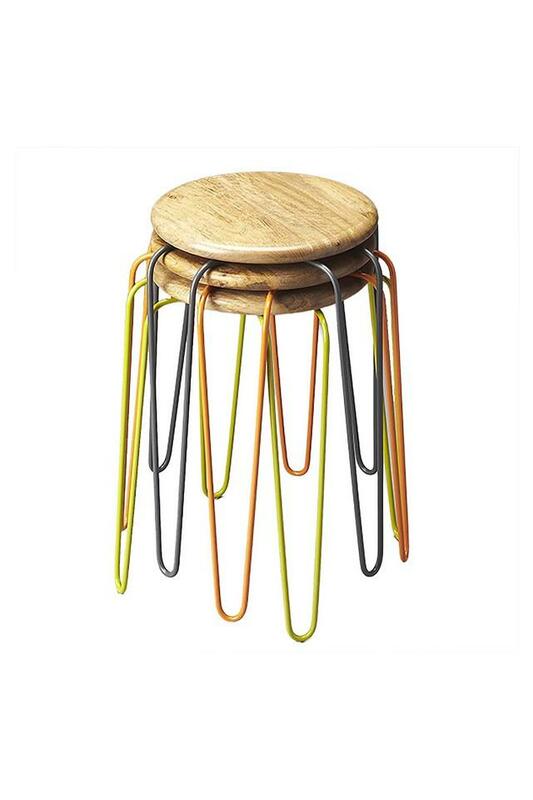 each stool stands the test of time. 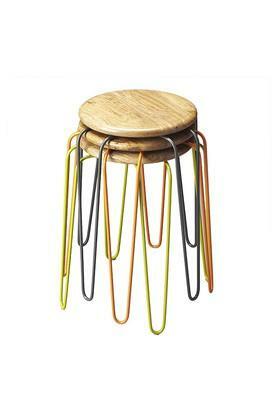 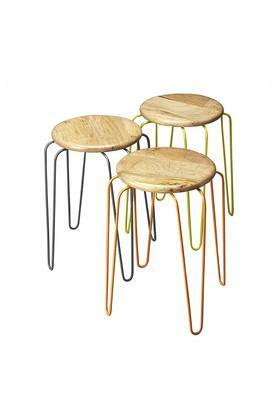 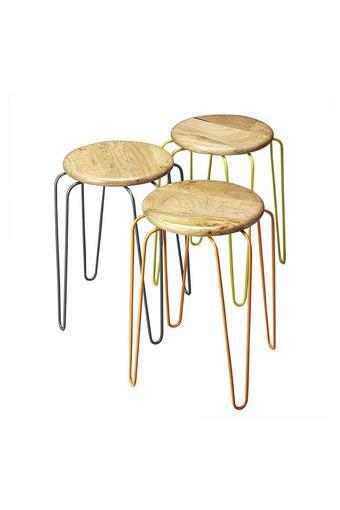 A powder-coated finish in tones of green, grey and orange enhances the style of the stools. Dimensions - 30 x 30 x 48 cm.